The following letter by the primate of the Netherlands, Cardinal Willem Eijk, Archbishop of Utrecht, was published a few days ago. It deals with a matter of the gravest importance which we have often discussed here: the idea, proposed by several German bishops, of Communion being given to non-Catholics (specifically, non-Catholic spouses of Catholic faithful). Some good German bishops appealed to the Holy See expecting the clarity that is Rome's essential mission to provide. Clarity and firmness on what Christ and His Church have always taught is the whole point of the very existence of the office of the Successor of Saint Peter. The letter by Cardinal Eijk on the matter (published in Dutch yesterday on the Archdiocesan website) is a warning of the greatest gravity as well as a breath of fresh air in these times of trouble and confusion, perilous times for the Catholic Faith. It will one day have a high place in the history of these strange days. Seven members of the German bishops’ conference voted against these directives and sought the opinion of some dicasteries of the Roman Curia. The consequence was that a delegation from the German bishops’ conference spoke in Rome with a delegation from the Roman Curia, including the prefect of the Congregation for the Doctrine of the Faith. “If the danger of death is present or if, in the judgment of the diocesan bishop or conference of bishops, some other grave necessity urges it, Catholic ministers administer these same sacraments licitly also to other Christians not having full communion with the Catholic Church, who cannot approach a minister of their own community and who seek such on their own accord, provided that they manifest Catholic faith in respect to these sacraments and are properly disposed.” C.I.C./1983, can. 844 § 4 (cf. 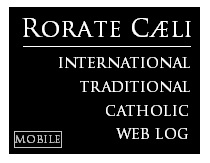 Catechism of the Catholic Church (CCC) no. 1400). This therefore applies only to emergencies, especially where there is a risk of death. Intercommunion is, in principle, only possible with Orthodox Christians, because the Eastern Churches, although not in full communion with the Catholic Church, have true sacraments and above all, by virtue of their apostolic succession, a valid priesthood and a valid Eucharist (CCC no 1400, C.I.C./1983 can. 844, § 3). Their faith in the priesthood, in the Eucharist and also in the Sacrament of Penance is equal to that of the Catholic Church. However, Protestants do not share faith in the priesthood and the Eucharist. Most German Protestants are Lutheran. Lutherans believe in consubstantiation, which implies the conviction that, in addition to the Body or Blood of Christ, bread and wine are also present when someone receives them. If someone receives the bread and wine without believing this, the Body and Blood of Christ are not really present. Outside this moment of receiving them, there remains only the bread and wine and the body and blood of Christ are not present. Obviously, the Lutheran doctrine of consubstantiation differs essentially from the Catholic doctrine of transubstantiation, which implies the faith that what is received under the figures of bread and wine, even if administered to someone who does not believe in transubstantiation and even outside the moment of administration, remains the Body or Blood of Christ and that it is no longer the substances of bread and wine. Because of these essential differences, communion should not be administered to a Protestant, even if married to a Catholic, because the Protestant does not live in full communion with the Catholic Church and, therefore, does not explicitly share faith in her Eucharist. The differences between faith in consubstantiation and that of transubstantiation are so great that one must really demand that someone who wishes to receive Communion explicitly and formally enters into full communion with the Catholic Church (except in case of danger of death) and in this way explicitly confirms his acceptance of the faith of the Catholic Church, including the Eucharist. A private examination of conscience with a priest or with another person with pastoral responsibilities does not give sufficient guarantees that the person involved really accepts the faith of the Church. By accepting it [the Eucharist], the person can, however, do only one thing: enter into full communion with the Catholic Church. The draft directives of the German bishops' conference suggest there are only a few cases of Protestants, married to Catholics, who would like to receive Communion by making use of these directives. However, experience shows that in practice these numbers will generally increase. Protestants who are married to Catholics and see other Protestants married to Catholics receiving Communion will think they can do the same. And in the end even Protestants unmarried to Catholics will want to receive it. The general experience with this type of adjustment is that the criteria are quickly extended. Now the Holy Father has informed the delegation of the German episcopal conference that it must discuss again the draft proposals for a pastoral document on, among other things, administering Communion, and try to find unanimity. Unanimity about what? 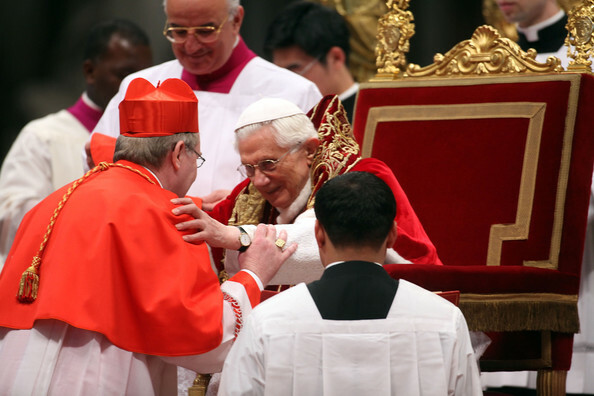 Assuming that all members of the German bishops’ conference, after having discussed them again, unanimously decide that Communion can be administered to Protestants married to a Catholic (something that will not happen), will this — while being contrary to what the Code of Canon Law and the Catechism of the Catholic Church say in this regard — become the new practice in the Catholic Church in Germany? The practice of the Catholic Church, based on her faith, is not determined and does not change statistically when a majority of an episcopal conference votes in favor of it, not even if unanimously. 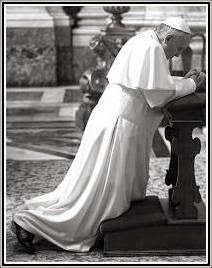 What the Code of Canon Law and the Catechism of the Catholic Church say should have been the reaction of the Holy Father, who is, as the Successor of Saint Peter “the perpetual and visible principle and foundation of unity of both the bishops and of the faithful” (Lumen Gentium no. 23). The Holy Father should have given the delegation of the German episcopal conference clear directives, based on the clear doctrine and practice of the Church. He should have also responded on this basis to the Lutheran woman who asked him on November 15, 2015 if she could receive Communion with her Catholic spouse, saying that this is not acceptable instead of suggesting she could receive Communion on the basis of her being baptized, and in accordance with her conscience. By failing to create clarity, great confusion is created among the faithful and the unity of the Church is endangered. This is also the case with cardinals who publicly propose to bless homosexual relationships, something which is diametrically opposed to the doctrine of the Church, founded on Sacred Scripture, that marriage, according to the order of creation, exists only between a man and a woman.